Watermelon grows on a trailing vine in the flowering plant family Cucurbitaceae. 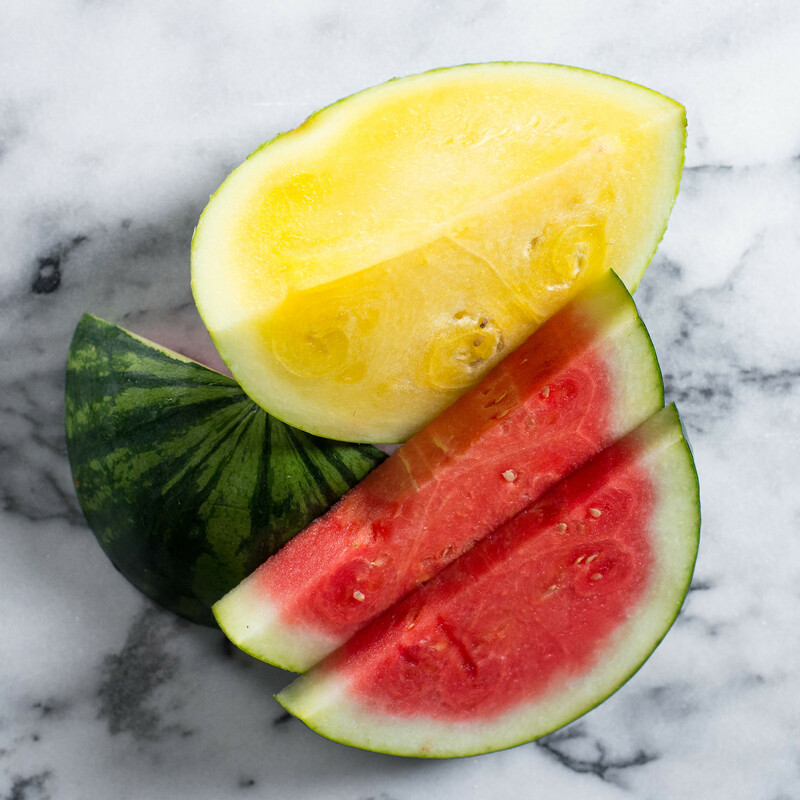 Most are familiar with the dark pink color, but watermelon can also be yellow and orange. Why is it good for my body? The best thing about watermelon is its water content --- about 92%! It also boasts vitamins A, B6, C and antioxidants. Where does it come from? It is believed that watermelon's ancient ancestor originated in southern Africa. Historians have also found evidence of watermelons in paintings in the Egyptian tombs. The seedless variety we enjoy today was not developed until the 1990's! What season is it fresh? Watermelon season is May-September. How do I store and handle it? A whole wantermelon can be stored in the refrigerator for 2-3 weeks. Once cut, it should be used within three days. What are ways to eat it? Watermelon is a truly refreshing fruit, enjoyed simply by the slice. It can also be added to salads and smoothies. Try Doctor Yum's Watermelon Fruit Pops for a cool summer treat!